We are offering Electric Actuators Battery Systems to our clients. 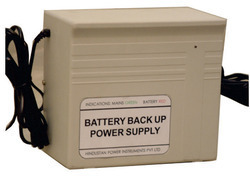 We are successfully engaged in offering a wide gamut of Battery Backup Unit. In order to keep pace with never ending demands of our customers, we are involved in providing CATV Power Backup Unit to our clients. This CATV Power Backup Unit is used for converting DC power into AC power for continuous power supply to batteries. Besides, these products have long backup life and are low in prices. 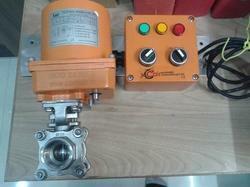 1.“CAIR MODULATING / ON-FF TYPE 24V AC SINGLE PHASE ELECTRICAL ACTUATORS WITH BATTERY BACK UP. - 12VDC Battery Backup for 4 / 8/ 16 CCTV + DVR in Metal Cabinet. During power failure the battery backup system provides power to emergency light and alarm.